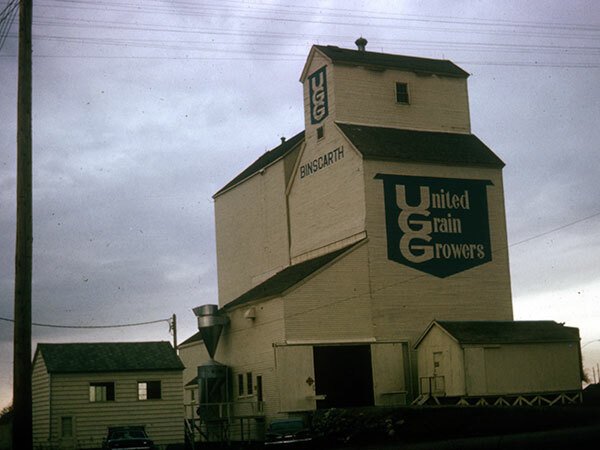 A wooden grain elevator and annex at Binscarth, on the CPR Bredenbury Subdivision in what is now the Municipality of Russell-Binscarth, was built in 1928 and operated by United Grain Growers. An annex was added in 1957. 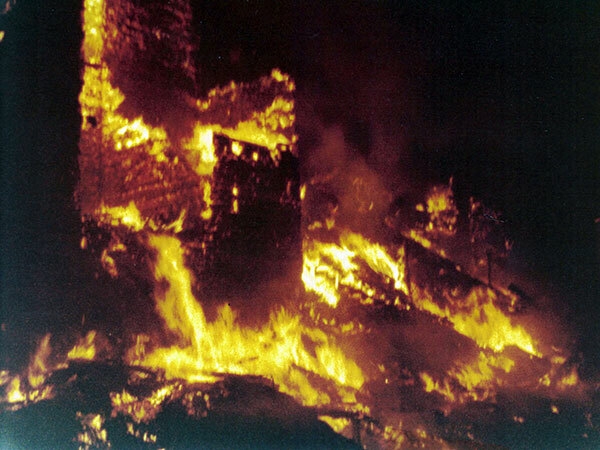 It was destroyed by fire on 8 November 1978, along with an estimated 30,000 bushels of wheat, oats, barley, and canola. A nearby fertilizer storage shed was saved by local firefighters and two boxcars next to the elevator were pushed out of danger by a tractor. At the height of the blaze, a freight train roared past the burning structure. There were no injuries but damages were assessed at over a half million dollars. The elevator was not rebuilt. “Blazes demolishes Man. grain elevator,” Winnipeg Free Press, 16 November 1978, page 8. 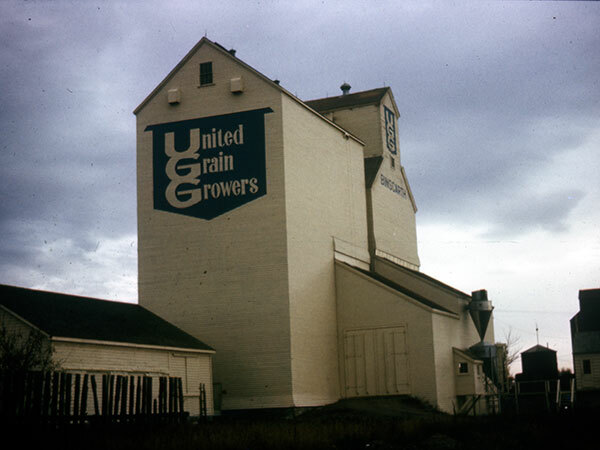 United Grain Growers Fonds, MSS76, Box 59 and 60 [Russell], University of Manitoba Archives & Special Collections. This page was prepared by Gordon Goldsborough, Henry Graham, and Glenn Dickson.